The hatches we discovered on Per Ardua were only the beginning. Bizarre gateways of alien design that allowed us to step across light years, they opened up the galaxy to us. They took us elsewhere and elsewhen, into a universe of futures and pasts that we could barely have imagined. And we stumbled across a plan. A plan that stretched from the beginning of time to its end. A plan that needed us. Well, some of us. Now we have discovered just how small a part we play. It is time to change that. Worlds and times collide in the concluding volume of the absorbing duology Proxima kicked off: "a story that encompasses everything that will be and everything that could have been," just as Ultima's flap copy claims, but fails, I'm afraid, to take in the little things—not least characters we care about—in much the same way as its intellectually thrilling yet emotionally ineffectual predecessor. 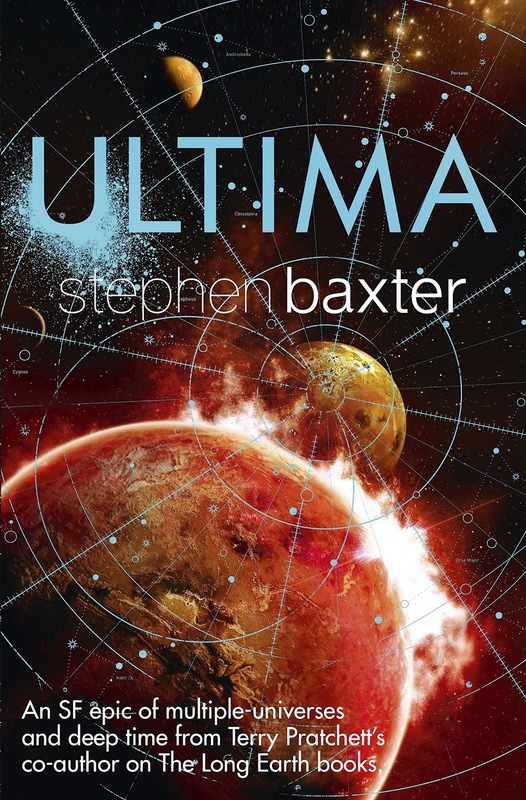 Ultima ultimately advances Stephen Baxter's ambitious origin-of-everything from the nearest star to Earth at the inception of existence to the end of time on the absolute farthest, but first, the fiction insists on exploring, at length, what the galaxy would look like in terms of technology if the Roman Empire hadn't fallen in the fifth century. 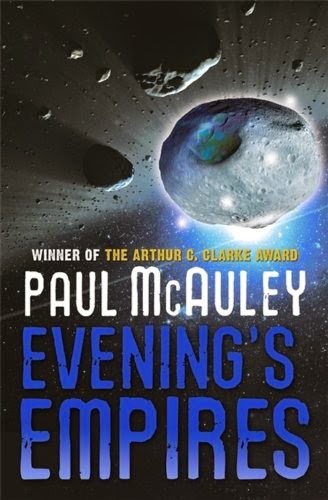 When we last accompanied Proxima's protagonist, Yuri Eden had just travelled through the portal he chanced upon at the pole of Per Ardua, which planet he and hundreds of other unfortunates had been given little choice but to colonise. The very fact of the Hatch changes everything, however; it is, after all, evidence of alien intelligence. But what do these beings want—whatever, wherever or whenever they may be? Ultima opens on the other side of the Per Arduan portal with, rather than an answer, a deflection in a dead lanaguage—or, according to the ColU, "a lineal descendant of classical Latin anyhow." (p.21) The speaker of this strange tongue introduces himself as Quintus Fabius, centurion of the star vessel Malleus Jesu, and sets about doing what any good centurion would do: taking Yuri and his companion Stef Kalinski prisoner. Though he doesn't play as large a part in this generational epic as he did in its more attentive predecessor, Yuri himself asks the question that suggests Ultima's eventual interests: "What's it all for?" he wonders aloud to to his constant mechanical companion. "Do you ever get the feeling we're missing the big picture here, ColU? All the strangeness—the kernels, the Hatches, the dumping of whole histories" (p.139)—must be in service of something, mustn't it? I'll say this: it is. And it is... incredible. "In a way, you see, [Ultima] is the story of life, in this universe," (p.506) which is an ambition nearly unequalled. 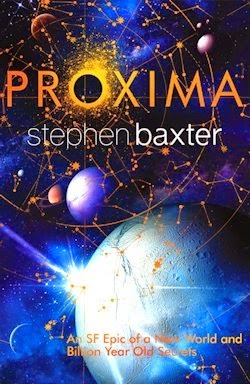 Alas, Baxter's big-picture pivot comes at a cost, and it's character—a problem in Proxima not at all solved in its sequel. If anything, Ultima magnifies this misstep by exponentially expanding the cast without taking the time to develop connections between us and the array of new folks we're faced with. Evidently, Baxter expects us to care about them because they're there, and on occasion because of a surname several share, but we don't, and we won't—not until the last act, at least: one of the precious few sections of the text which recalls the pensive pace and relative personality of Proxima. Ultima is worlds apart from its predecessor in narrative terms, too. It has so much more to do, so many more pieces of the proverbial puzzle to set up, that it feels distracted—scattershot as opposed to purposeful, like Proxima. This is a particularly difficulty in the beginning, which drags dreadfully in lieu of a throughline as simple and sympathetic as Yuri's struggle to survive the fascinating challenges posed by Per Ardua. "If the universe is to be brief in duration—well, it is beautiful nonetheless, and deserves to be apprehended to the full. To be appreciated, to be studied and cherished, from beginning to end." As is Ultima: a bigger and more ambitious book than its predecessor, yes, but not necessarily a better one—not until the very end. 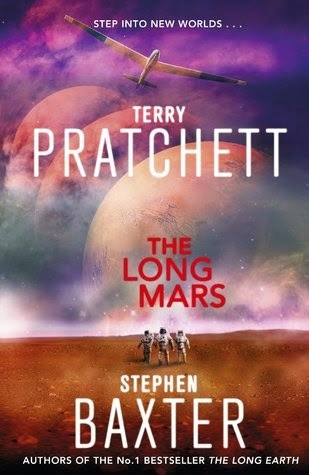 Less patient science fiction fans need not apply, but determined readers may rest assured that their efforts will be richly rewarded.